Below is a round-up of Nicktoons Africa's programming highlights for March 2019! 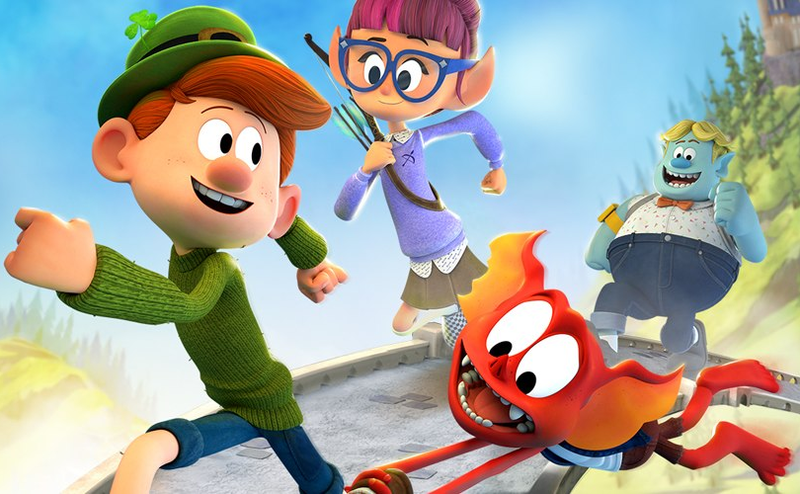 More Highlights: February 2019 on Nicktoons | March 2019 on Nickelodeon | March 2019 on Nick Jr. This incredible special awards show will be simulcast on Nickelodeon South Africa, Rest of Africa as well as NickToons! Because at NickToons, heroes are made from hard work, being humble, having good friends and a great attitude! This is a stunt so SUPER that Nickelodeon are playing it twice! Join all the NickToons Superheroes every weekday starting Monday 18th March to Friday 5th April 2019 from 06:35 CAT/ 05:35 WAT/ 07:35 EAT AND 10:00 CAT/ 09:00 WAT/ 11:00 EAT! The important thing is to make kids laugh. So, what is funny? That’s simple. Airs: Starting at 16:00 CAT/ 15:00 WAT /17:00 EAT On Thursday the 21st, there will be Superhero episodes all day! The important thing is to make kids laugh. So, what is funny? That’s simple. Nickelodeon's Characters are funny! And that’s why they've made them the face of the new Nicktoons! Follow NickALive! on Twitter, Tumblr, Reddit, via RSS, on Instagram, and/or Facebook for the latest Nickelodeon Africa and Nicktoons Africa News and Highlights!